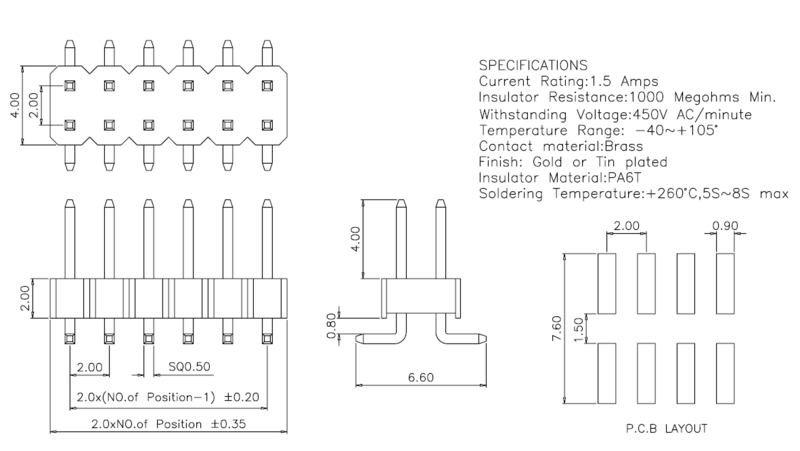 Please contact us for drawings of customized pin length and insulator height. 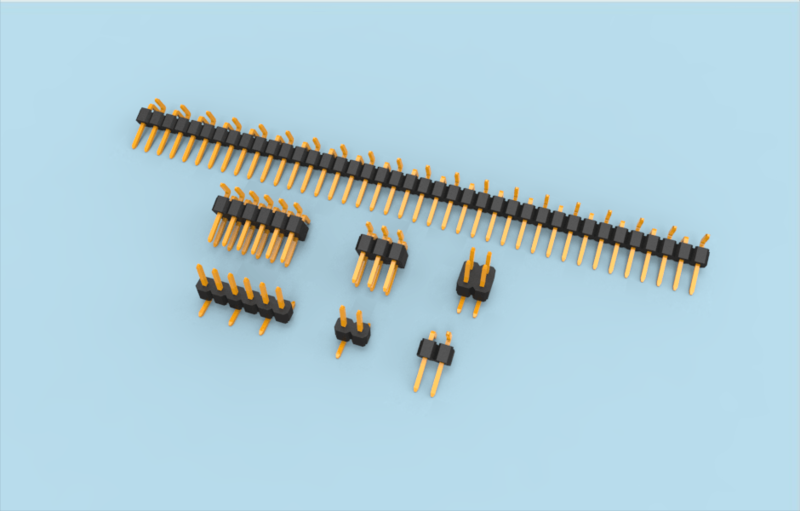 2.0mm (.079”) inch SMD/SMT pin header is PCB headers for board to board connectors connection. This product include: single and dual row in eagle Surface mount (SMD) as for Horizontal version. Generally mated with receptacle or stackable header connectors (female sockets) which is vertical, right-angle or SMT (surface mount) application. This types of pin headers are suitable for PCB board to board connection or for signal transmission application. -Contacts: 2-40 pins for single row and 4-80 pins for dual row. -Highly customized: Insulator height profile can be design to double or more to match the current you need. 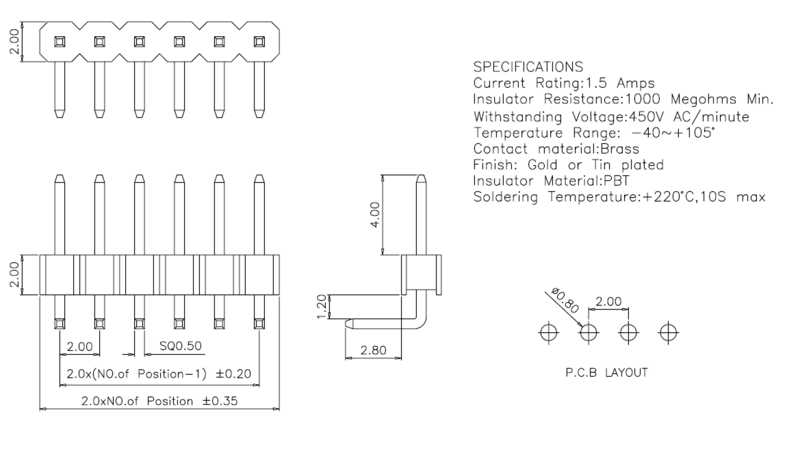 Pins length can be modify according to the distance of PCB board you need. Here is some hot goods in SMT version: like 2×4 2×8 2×10 2×12 headers. 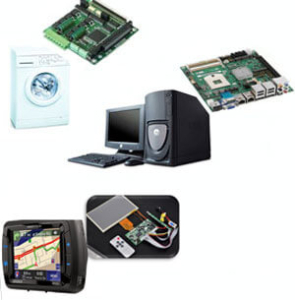 -Automotive: Car navigation LCD panel and so on. The above applications are typical but not limited, these products are widely use in many fields. for more information or have any advice please contact Smolex. Smolex as subsidiary of SCONDAR Electronic Co.,Ltd. only focus on Pin Header & Female header connectors for over 16 years. We're committed to supplying high quality product with favorable price to our clients all over the world. Copyright 2016 - 2017 Scondar Electronic Co., Ltd. | All Rights Reserved.